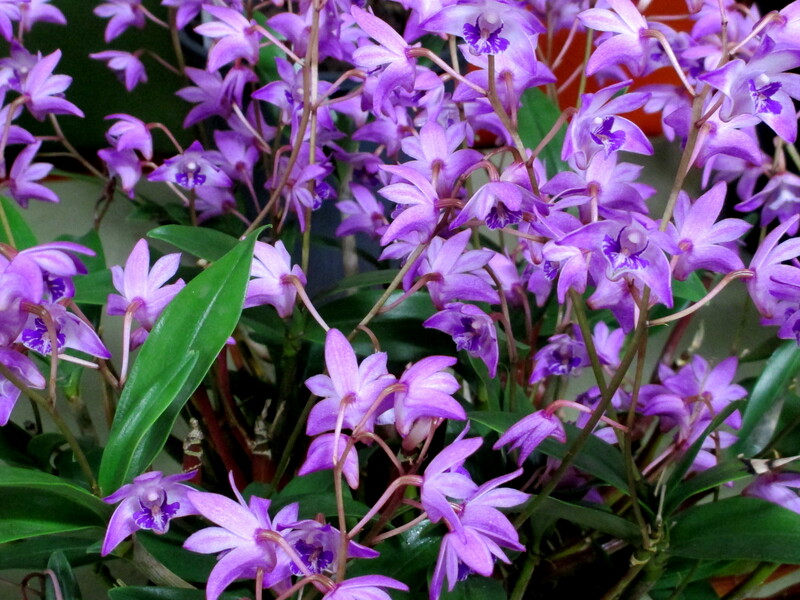 Dendrobium Kingianum | Southern Suburbs Orchid Society Inc. There are more than 1600 species of Dendrobium which makes it the second largest genus in the orchid family. Dendrobiums are found throughout India, S.E Asia, Japan, Malaysia, the Philippines, the Pacific Island, New Guinea, Australia and New Zealand. They grow at high altitude Himalayan mountains and tropical rain forests. They are mostly epiphytic and sometimes lithophytic. D. Kingianum or “Pink Rock Lily” is found from the Hunter River in NSW to Carnarvon Gorge in Queensland. It is a common orchid and most often found growing as a lithophyte on rocks sometimes in large clumps. Kingianum grows in a variety of places from almost full sun in the open to more shaded and sheltered sites in gullies and on cliff faces. The majority of wild plants occur in the ranges and mountains above 1200 metre. Spring flowering, the flowers range in colour from white, pink, red, purple and mauve. For further information on Dendrobium Kingianum and other orchid varieties, see the Orchid Societies Council of Victoria (OSCOV) Website under the section Articles & Resources. For photos of Dendrobiums see our Dendrobium photo page.